Let G be a graph, and let L(G) and Q(G) denote respectively the Laplacian matrix and the signless Laplacian matrix of G. The Laplacian (respectively, signless Laplacian) permanental polynomial of G is defined as the permanent of the characteristic matrix of L(G) (respectively, Q(G)). 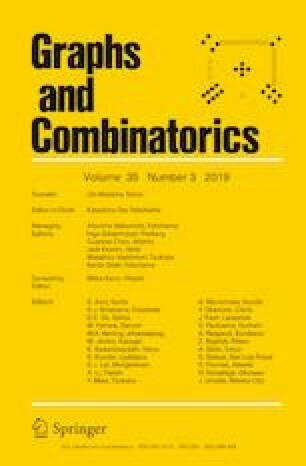 In this paper, we give combinatorial expressions for the first five coefficients of the (signless) Laplacian permanental polynomial. The characterizing properties of the (signless) Laplacian permanental polynomial are investigated and some graphs determined by the (signless) Laplacian permanental polynomial are presented. Furthermore, we compute the (signless) Laplacian permanental polynomials for all graphs on at most 10 vertices, and count the number of such graphs for which there is another graph with the same (signless) Laplacian permanental polynomial. This work was supported by the National Natural Science Foundation of China (Grant No. 11501050) and the Fundamental Research Funds for the Central Universities CHD (Grant Nos. 300102129109, 300102128201, 300102128104).